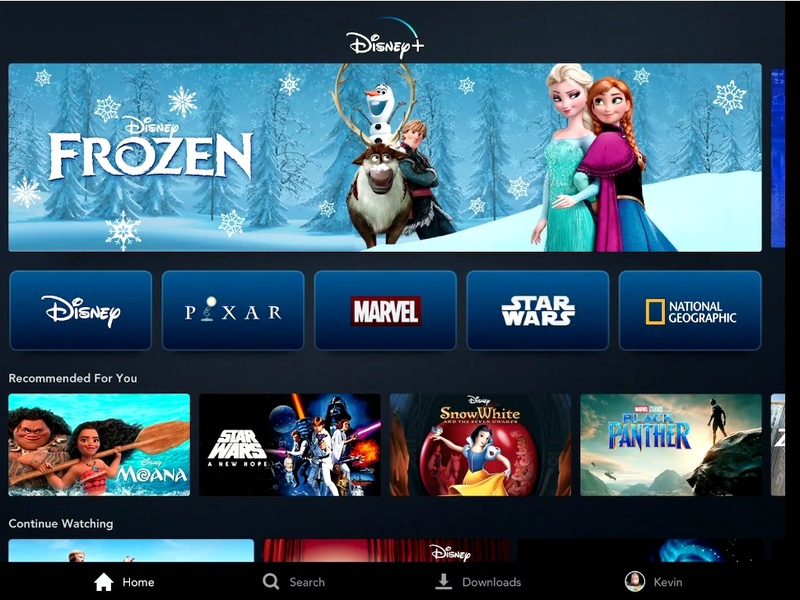 All films released in 2019 will also be available on Disney+ as soon as their theatrical and home entertainment windows have closed. Disney said Thursday it will roll out its much anticipated Disney+ video streaming service on November 12, drawing on its deep catalog of content and offering up new shows featuring favorite characters from "Monsters Inc." to Marvel to "Star Wars." The service will cost subscribers $6.99 per month, or $69.99 per year, which is at the high end of what many analysts had expected. "Today's presentation will show you where we're going, but also remind you that we are starting from a position of strength and optimism," CEO Bob Iger said during the company's investor day Thursday. Analysts had expected the service would cost $5 to $7 per month, which is around half of what Netflix costs for its standard HD plan. Disney had signaled that it intended for the platform to be much cheaper than its rival. Disney said it expects it will spend about $1 billion in 2020 on original content for the platform and $2 billion by 2024. The company is also forecasting it will have between 60 million and 90 million subscribers by the end of 2024. One-third of those subscribers will be domestic and two-thirds will be international, the company said. Analysts and investors will be keen to see if the revenue from subscribers will be able to outweigh the lost revenue from no longer licensing its content to third parties. Disney had also hinted that it is interested in bundling it with ESPN+ and Hulu, which it owns a 60% stake in. However, it's unclear if Disney+ will coexist with these other services, particularly considering 40% of Hulu is owned by Comcast (30%) and AT&T (10%). Disney said ahead of the meeting that it would not be commenting on the recently completed quarter or the current quarter. The company is due to report second quarter results on May 8 after the closing bell. So far, Disney has already confirmed a number of television series and films solely available on Disney+. For its Marvel brand, Disney will have four different live-action series featuring Scarlet Witch and Vision, Loki, Bucky Barnes (the Winter Soldier) and Sam Wilson (Falcon) and Hawkeye. Head of Marvel Kevin Feige said the Marvel series will connect directly to the cinematic universe and to each other. An animated series called "What If" will also be available on Disney+. It will explore hypothetical questions like: what would have happened if Peggy Carter had been given the super serum instead of Steve Rogers? Pixar will produce a number of shorts for the subscription service, featuring characters like Forky and Bo Peep from the "Toy Story" films. It will also have a series based in the world of "Monster's Inc." called "Monsters at Work." "One of the things I am most excited about is that we have the unique opportunity to extend our stories with characters our audiences know and love as well as explore new types of storytelling and animation with emerging filmmakers and show it all exclusively on Disney+," Jennifer Lee, chief creative officer of Walt Disney Animation Studios, said. Also on the service will be a catalog of Disney's classic animated features and TV shows as well as live-action flicks and shows, including fan favorites like "Lizzie McGuire" and "Hannah Montana." The company said it will continue to release major motion pictures to theaters ahead of their appearance on the streaming service. Since 2006, Disney has released 44 films that have grossed more than $37 billion at the box office.